Creation NO 3 from KHR endings series. 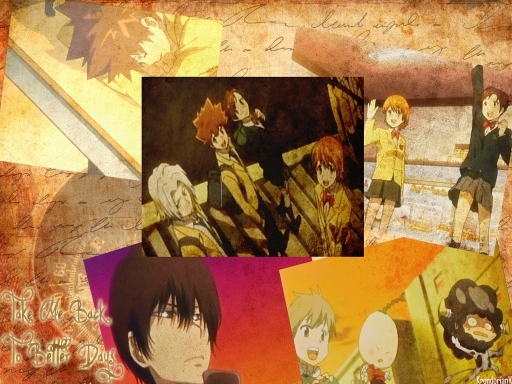 Anyways, Images are snapshots from the 2nd ending. For the Images i used a vintage texture. Quote is from the song "Take me Back" lyrics.